I’m Kate Bruckshaw and I’m part of the new Policy Exploration team in DWP’s Strategy Directorate. 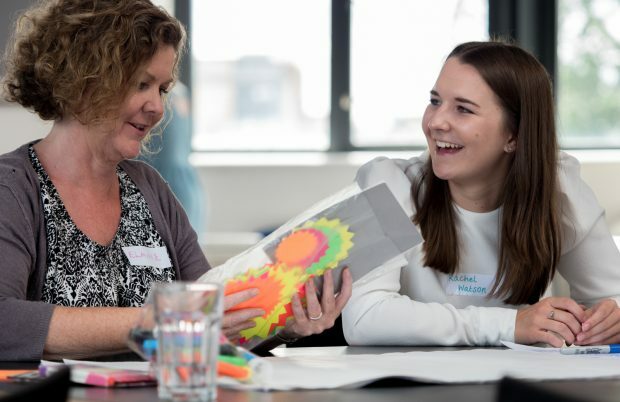 We’re a small group of people beginning to work with policy-makers in DWP to provide practical early stage support, look at how we can frame challenges and introduce a design-led approach from the start. Increasingly in government, design is public policy and public policy should be (great) design. We work alongside a slightly larger group of analysts. We’re distinct teams but we’ve been very conscious that we share the same big goals where we could make our approaches to design and data work better. This meant getting people together and we wanted to do that in a different, open more innovative way, inspired by the OneTeamGov launch event just a few days before. 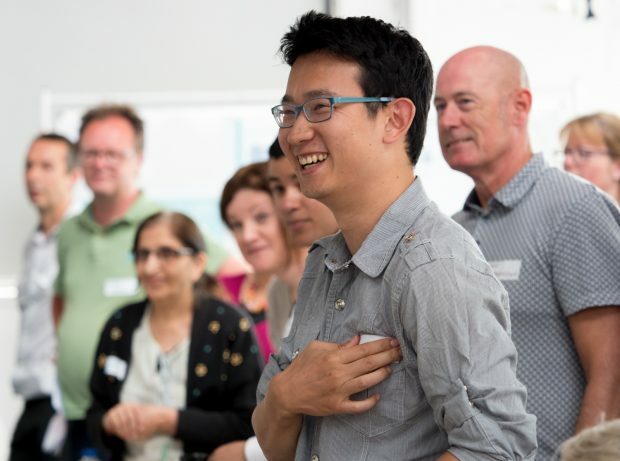 The Leeds Open Data Institute is a great place for groups so we joined-up with Sharon Dale to create our team day using her experience of hosting events like GovJam. 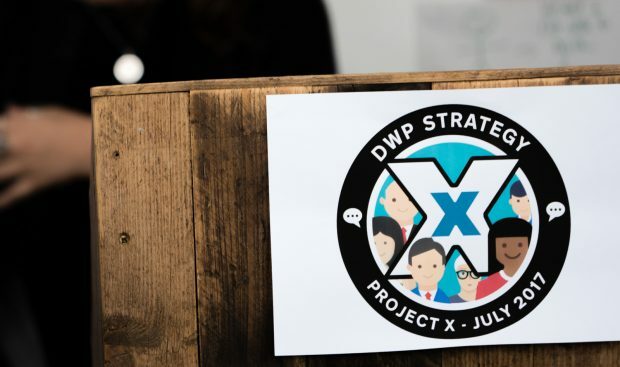 We gave the day the rather mysterious title of 'Project X' and planned to use real data to engage with a very real problem and set the team a challenge: how can we help people in disadvantaged groups (often people who are elderly or disabled) make better use of the internet? We started with data but ditched any temptation to use PowerPoint slides and instead kicked things off with a TED-type talk (thanks to Will for stepping up to the stage). This kind of data gives us an outline of the facts we need to understand our service users, helps us begin to frame problems and provides inspiration to start thinking about how we can design ways of meeting user needs. Working in groups and mixing up new people, some of whom had never actually met before, we spent time generating as many ideas as we could think of. There are lots of related tools and techniques to help with this kind of approach. Some of the best were built by our friends at PolicyLab and we found that these adapted well for our needs on the day, helping us to stretch our thinking. Each team then selected their single best idea which we asked them to turn into a simple prototype. There was no code writing; instead, it was all about tabletop prototyping using paper, Blu Tack and post-it notes. The aim was to explore an idea in a more visible, more tangible way, asking better questions and learning along the way. Just as importantly, this approach is great for building empathy with each other and for growing confidence around abstract ideas. We’ve now begun to integrate the team’s analytical skills into the early stages of our activity knowing how we can work together as one. It seems that policy exploration involves good analysis and that good analysis involves policy exploration. And there’s more to do. 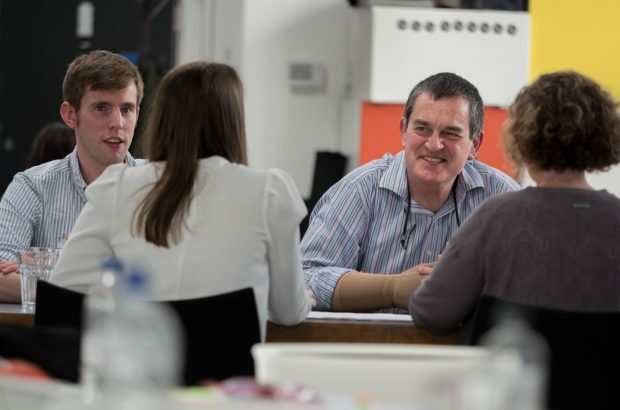 We’re actively looking at how we can connect-up with other important areas like user research and data science so that we avoid silo working, share knowledge and support our policy-makers to take a design-led approach.